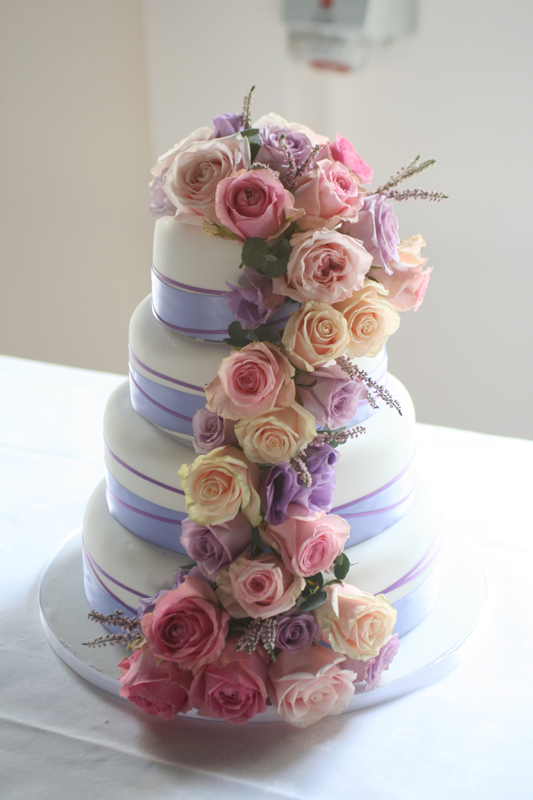 Gemma and Chris were wed at Eskmills venue in Musselburgh, East Lothian on the 3rd October 2015. 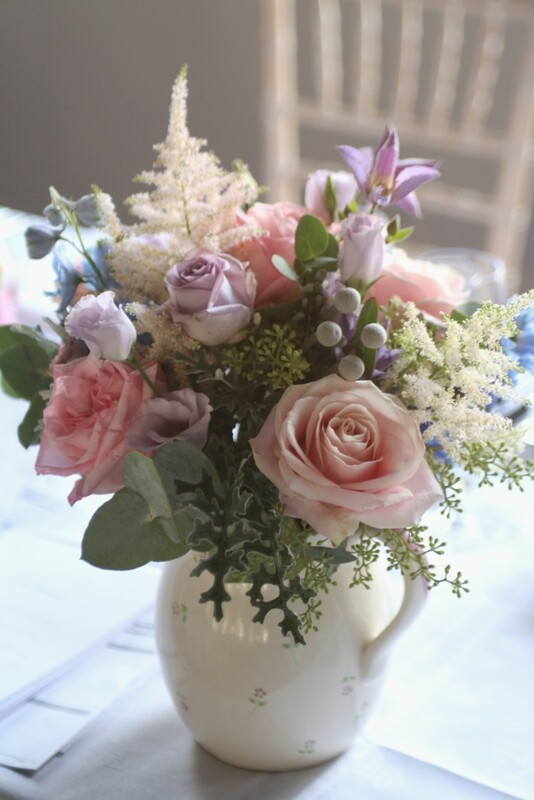 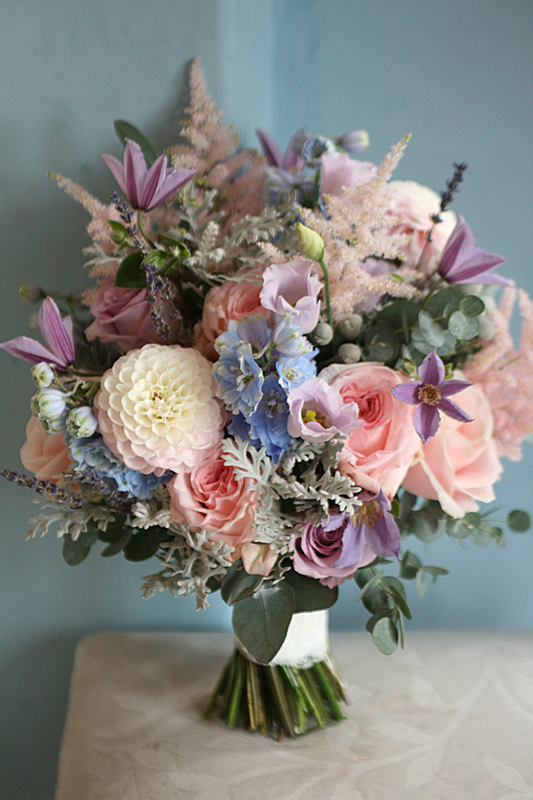 I loved the pastel colours and loose, just gathered style that Gemma chose for their wedding flowers. 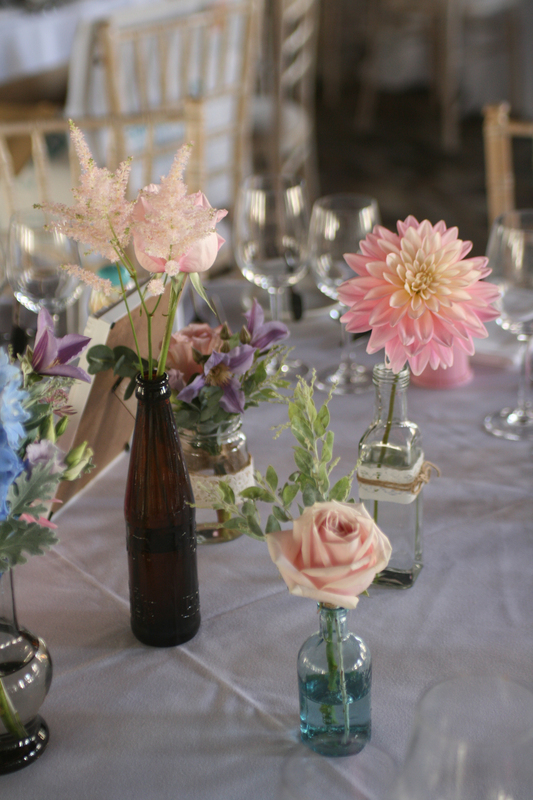 Gemma had been collecting lots of interesting bottles and vases which were filled with blooms and placed on the guest tables. 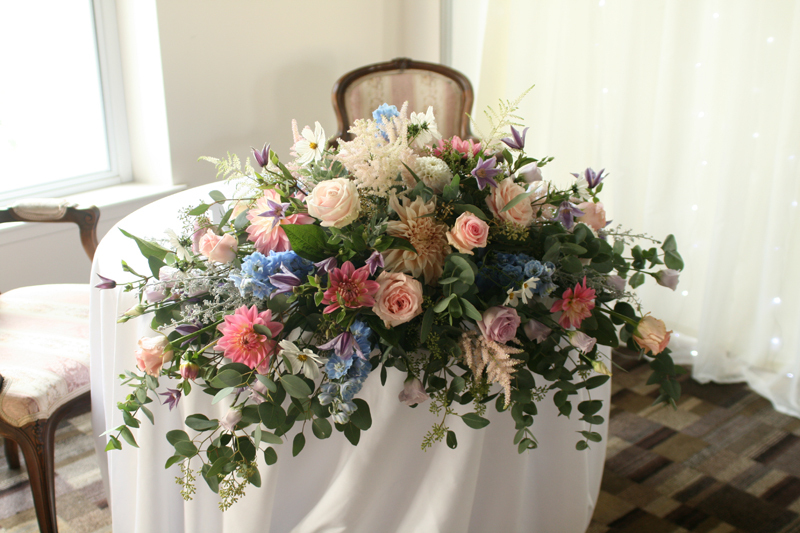 The bouquets included lots of interesting textures in pastel shades of pink, lilac and blue which included, delphinium, garden roses, astilbe, dahlia, clematis, lavender and lots of silver/blue foliage varieties. 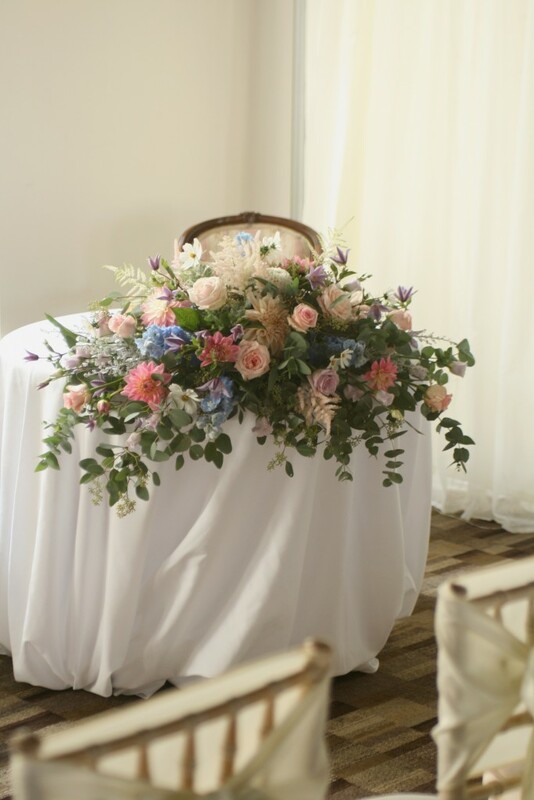 We created a cascade of flowers running down the wedding cake which was created by 3D Cakes and potted hydrangea plants were given as thank you bouquet’s. 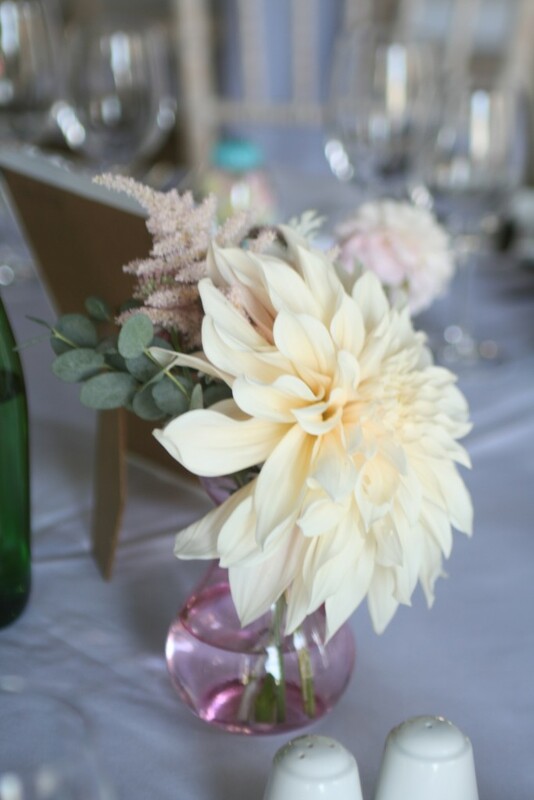 We received a lovely message of thanks from Gemma’s Mum after the wedding and a card arrived a few days ago from Gemma and Chris.